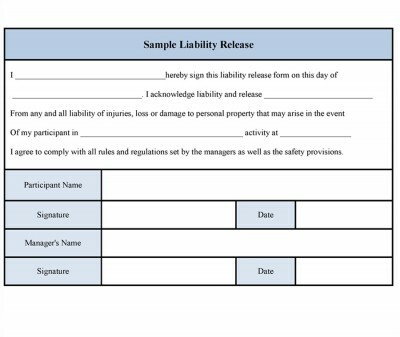 A liability release form is used for allowing business or organizations to be released from responsibility for any injures or damages sustained by an individual in an activity owned or organized by the organization. By signing such a form, the individual agrees that he or she will not hold the business or organization liable for any loss or damage. 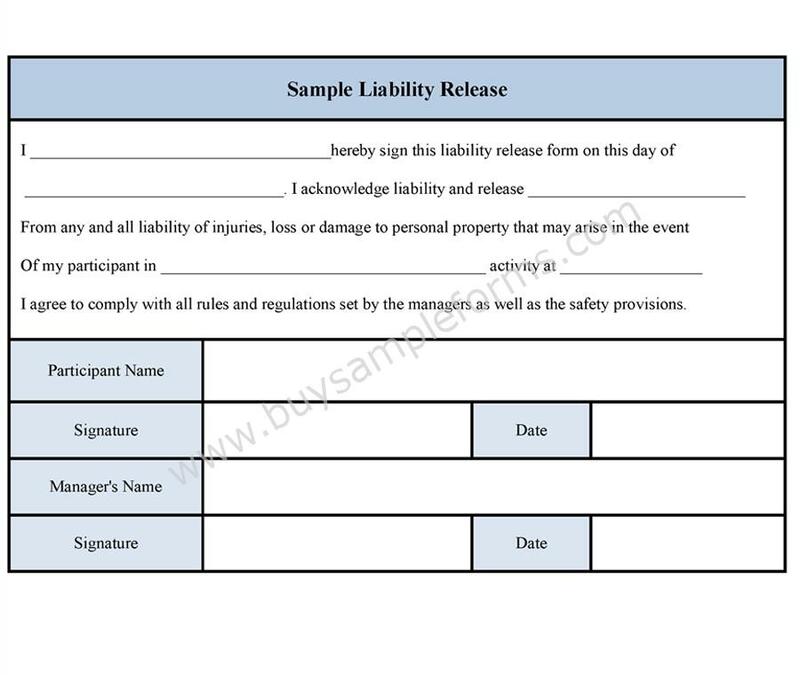 Examples where liability release forms are used by companies are companies involved in recreational activities, events which involve risky activities such as sports and athletic events etc. The sample liability release forms must be in compliance with the state laws. Such a release form is an indication that the individual signing the form has clearly understood the terms and conditions of the form. The Hunting hold harmless agreement gives a legal protection to the land owner, lease holder, employees of the land owner, their heirs against any damage or injury, harm or death caused to them or their property. A liability release form by providing a legal defense by assumption of risk. A well-drafted liability release keeps the person signing well informed about the risks of what they are about to do. Construction industry faces many risks and accidents. Construction release of liability form is issued by the construction companies to its employees as a proof that the employees understand.